Collecting the Meroitic Kushite or their successors, the Nobades, is driven by my desire to take less used figures from my collection and recycle them into a usable army. In this particular case, lacking British troops for the 1885-98 campaign my Sudanese native collection have remained unemployed since their re-basing four years ago. As the Severan Project grew in scope several African kingdoms were added to the “to do” list but were given a low priority. Now that the Bosporan collection is complete I can look toward the Sudan as my next area of conflict for the Middle and Late Imperial Romans. By the 3rd century AD, the Kingdom of Meroe was on the decline economically and politically and why this happened remains a mystery to scholars. Archaeological evidence records Meroitic pyramids at this time were of smaller dimensions, simpler in appearance and held less burial objects that previous centuries. 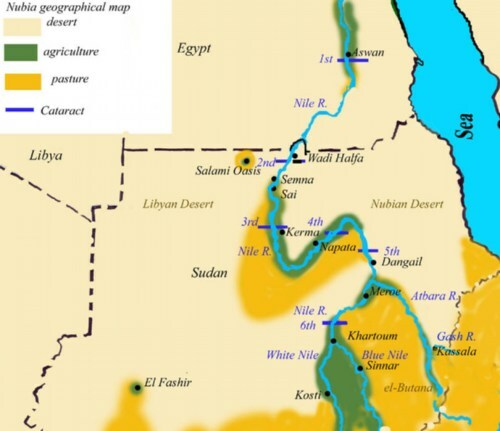 Trade routes that moved along the Nile were now making better use of the region’s eastern shores to move goods to Arabia and India. Aside from an economic situation on the wane, Kush’s political future was in a state of flux as the names of Pharaohs or Kings are no longer recorded. Rome at this time still held garrisons along the Upper Nile, so we can surmise the threat from the south was significant enough to maintain a military presence. Further investigation we find a northward migration of tribes fleeing from the southern regions that would later become known as Axum. The influx of these tribes into Kush no doubt added to the instability and as a consequence the inhabitants moved east. Some regard this relocation of the Kushite during the 4th century a benchmark for the people better known as the Blemmye. 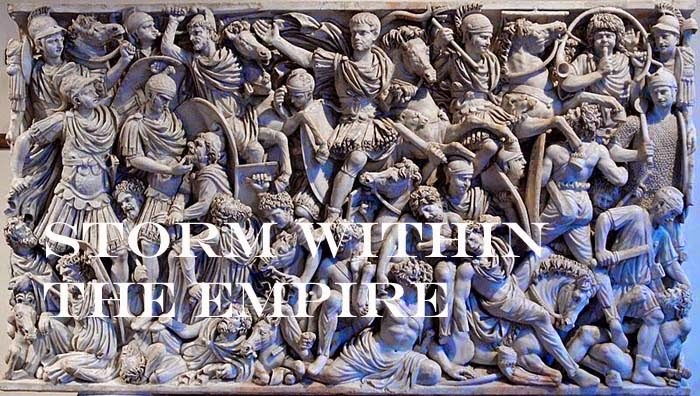 This past week I have looked at many illustrations, rock carvings and murals spanning six or seven centuries and looking at the figures offered currently, I decided to pursue my original course and build a rebel army. Whether these are to be titled Blemmye or Nobades is not set in stone, but I do like the idea of a cobbled collection of scruffy looking rebels, perhaps modeled after the Meroitic list. Why this list you might ask? - Look to the terrain differences. If you have not noticed, there are terrain differences between the lists; the successor kingdoms, the Blemmye, Nobades, and Christian Nubian have “Dry” as home geography, the Meroitic Kush, “Steppe”. The grassland plains are the Butana steppe which is devoid of trees for the most part excepting those areas bordering lakes or rivers. Known for its iron work Meroitic Kush depended on the forests for their production of their famed iron work.